"For anyone who takes facts and data seriously, it is undeniable that Muslims are much worse at integration than other groups of immigrants, no doubt about that. There is also no doubt that in most other groups of immigrants, we see great progress from one generation to the next. Although it's not completely absent in Muslims, the change is much slower," Koopmans told Berlingske. According to Koopmans' data, around 65 percent of the Turkish and Moroccan Muslims in six European countries consider religious rules to be more important than the secular law of the country in which they live. Muslims consider themselves separate from other non-Muslim groups, and refrain from broader interaction with those outside their religion. 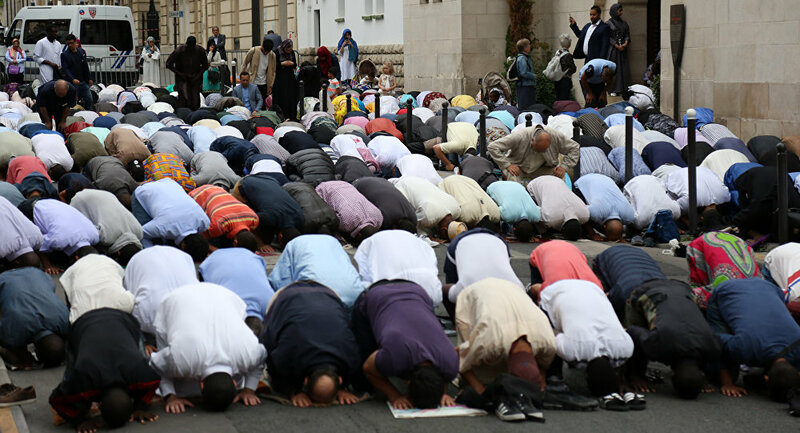 For instance, almost 60 percent of the Muslims surveyed rejected the idea of maintaining friendships with homosexuals, and 45 percent said the same thing about Jews. According to Koopmans, the fundamentalist interpretation of the Quran, which is prevalent among Muslims, prevents them from being integrated into Western countries. According to Koopmans' studies, up to 50 percent of Muslims in Europe hold fundamentalist beliefs. By contrast, the proportion of fundamentalists among Christians is much lower, at less than 4 percent. In his new book, "The Decrepit House of Islam", Koopmans paints a rather gloomy picture of the Muslim world; one marked by growing fundamentalism and sectarian conflicts. He concluded that when it comes to democracy, human rights, and political and economic development, the 47 Muslim-majority countries are worse off. "I conclude that the Islamic world in all these areas is lagging behind rest of the world. Increasingly so in the past 50 years," Koopmans told Berlingske, attributing this to conservative views on the role of women, low investment into children's education and fundamentalist propaganda. "The message in my book is not that there is something inherently wrong with Islam itself, but that there is a problem with the way many Muslims and, globally, many Muslim countries interpret Islam. Namely, in a way that basically claims that the Quran and the Sunna must be taken literally, and that the way the Prophet lived in the 7th century must be the yardstick for how Muslims should live in the 21st century," Koopmans concluded. "Such a brand of Islam is, firstly, a threat to world peace. Secondly, it prevents integration." In Germany, where Ruud Koopmans has been living for almost 30 years, he is known as a critical voice in the debate on immigration and integration. In the last several years, he has profiled himself as an eminent critic of the social consequences of Chancellor Angela Merkel's decision to accept refugees in 2015. Despite the fact that his research is anchored in empirical data and statistics, he is often seen as a controversial figure. "Some people strongly oppose my conclusions. Sometimes with arguments, but mostly with personal attacks. They reject my results and refuse to discuss them. Instead, they just say: It plays into the right-wing populists' hands, and we should not discuss it. As if it didn't play into their hands, if we somehow avoided to discuss these matters," Koopmans concluded. Dutch-born Ruud Koopmans heads the research unit Migration, Integration and Transnationalisation at the Berlin Social Science Centre. He is also a professor of sociology at Humboldt University in Berlin and a member of the academic council that advises Germany's immigration authorities. He is the author of several books on immigration and integration.